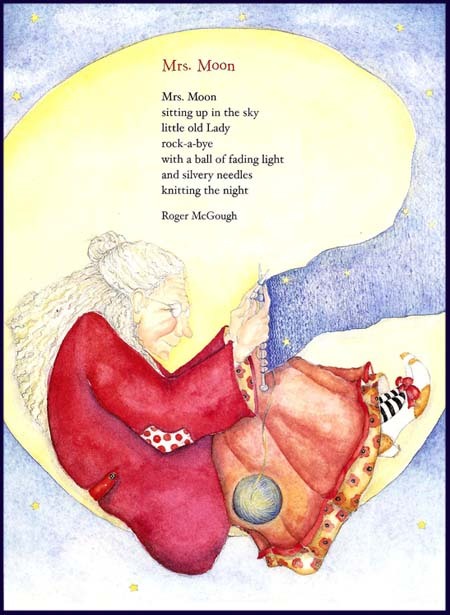 To celebrate poetry month I give you this little poem from the children's book "Lullaby Moons and a Silver Spoon: A Book of Bedtime Songs and Rhymes". I'm sure that knitters are loving the phrase about a little old Lady. Maybe not!